Sadie Sink dons a cute jean dress for the screening of Kin, held at Regal Atlantic Station on Monday night (August 20) in Atlanta, Ga. 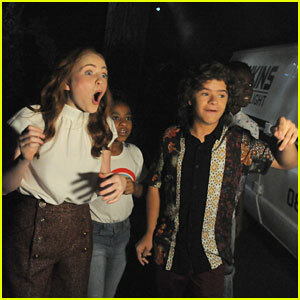 The 16-year-old actress met up with Stranger Things co-star Caleb McLaughlin at the event, where they supported Myles Truitt. 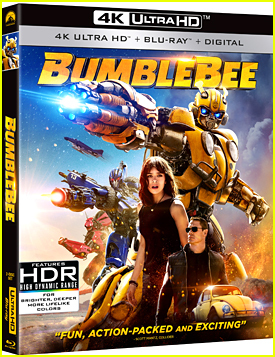 Stranger Things producer Dan Cohen is also a producer on this film as well. Here’s the summary for Kin: Chased by a vengeful criminal, the feds and a gang of otherworldly soldiers, a recently released ex-con and his adopted teenage brother are forced to go on the run with a weapon of mysterious origin as their only protection. The cast of Stranger Things is hard at work on the upcoming third season and a bunch of cast members were spotted on set this week! 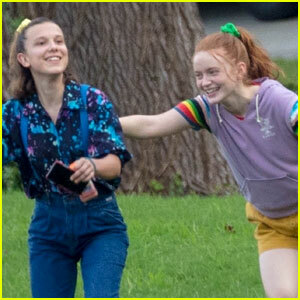 Millie Bobby Brown and Sadie Sink were seen running around and having fun in between takes while on set on Friday (August 10) in Atlanta, Ga. Some of the other actors seen on set that day included Finn Wolfhard, Noah Schnapp, Caleb McLaughlin, Natalia Dyer, and Charlie Heaton. 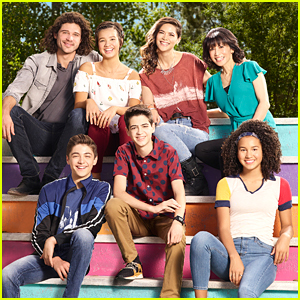 Season three will have eight episodes and it is expected to debut in mid-2019. When Millie Bobby Brown and Caleb McLaughlin first met, their relationship was very different than what it’s like now. The two Stranger Things stars chatted with ET at the 2018 PaleyFest over the weekend about their evolving relationships, and both shared it was like friends turning into family. However, now it’s different: “We are actually siblings. We argue all the time,” Millie shared. “I wouldn’t say all the time,” Caleb added. According to the two, the “arguments” are about little things like who took the other’s bag of chips. “It’s little remote control arguments,” Caleb says. Stranger Things season 3 will start production next month. Millie Bobby Brown and Sadie Sink walk the red carpet at the PaleyFest panel for their Netflix series Stranger Things on Sunday night (March 25) in Hollywood. Some of the other stars from the show who stepped out for the event included Caleb McLaughlin, Natalia Dyer, Charlie Heaton, Winona Ryder, David Harbour, and Sean Astin. 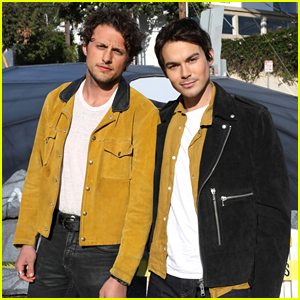 The cast opened up about season two and teased some details for the upcoming third season. FYI: Natalia is wearing a Delpozo dress, Christian Louboutin shoes, and Ivy jewelry. Millie is wearing an Oscar de la Renta dress and Sophia Webster shoes. Sadie is wearing a Hiraeth dress and boots with Repossi jewels. Charlie is wearing Ermenegildo Zegna Couture with Aquatalia shoes. Millie Bobby Brown is doing her part to pay tribute to the victims of the Parkland shooting. 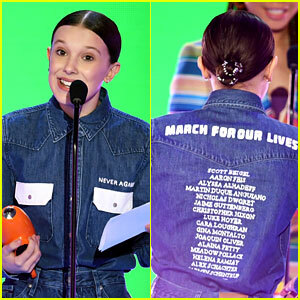 The 14-year-old Stranger Things wore a custom outfit with the names of the 17 people killed written on the back while at the 2018 Nickelodeon Kids’ Choice Awards on Saturday (March 24) at The Forum in Inglewood, Calif.
Millie won the award for Favorite TV Actress for her work on Stranger Things and she was later joined by co-stars Sadie Sink and Caleb McLaughlin to accept the award for Favorite TV Show. “But, more than anything, I get to be up here and I’m privileged to have a voice that can be heard, one I can use to hopefully make a positive difference and help influence change,” Millie said while encouraging everyone to pass on the kindness in the room. FYI: Millie is wearing a Calvin Klein outfit. Sadie is wearing a vegan outfit by Hiraeth, Sergio Rossi shoes, and Anita Ko jewelry. Caleb is wearing Thom Browne.